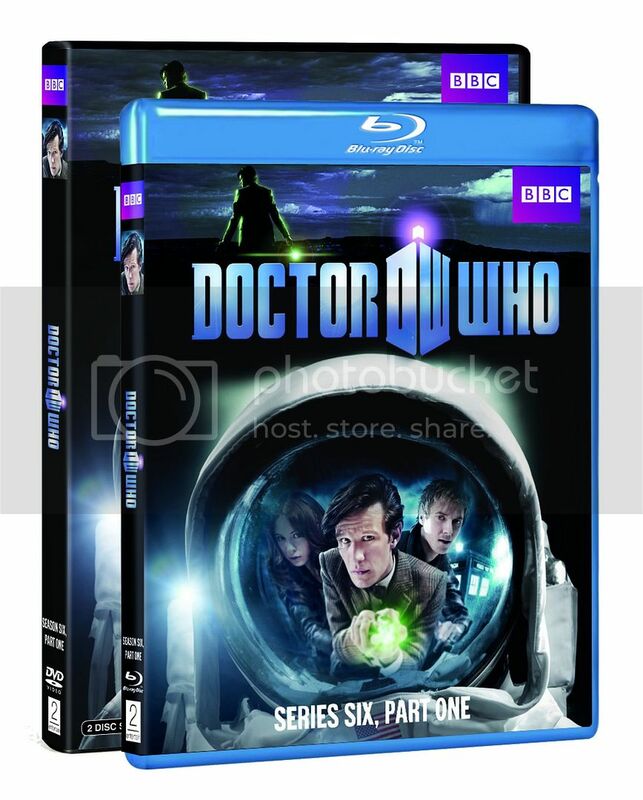 This week saw BBC/Warner Home Video release of the first half of Series Six on DVD(R1) and Blu-ray(A) in North America; as with the UK release the two-disc set features the seven episodes broadcast from April, and includes the two Monster Files covering The Gangers and The Silence. More details on the release can be found at the BBC America Shop, and WHV have also provided links to three preview clips from Doctor Who Insider presenting Inside Look At The Enemies Point Of View, an Inside Look With Steven Moffat, and an Inside Look At Rory. The DVD(R2) and Blu-ray(B) versions were released in the UK last week, and are available to buy via our Amazon store. The Australian versions (R4/B) will be released on 4th August and will be available in New Zealand on 17th August.